The availability and range of the Wi-Fi signal depends on a number of factors, including infrastructure and other objects through which the signal passes. Use the Wireless & networks setting menu on Galaxy S7 to enable your phone’s Wi-Fi radio and connect to an available Wi-Fi network. 1. From Samsung Galaxy S7 home, tap Apps > Settings . 2. Tap Wi-Fi . The Galaxy S7 Wi-Fi settings menu appears. 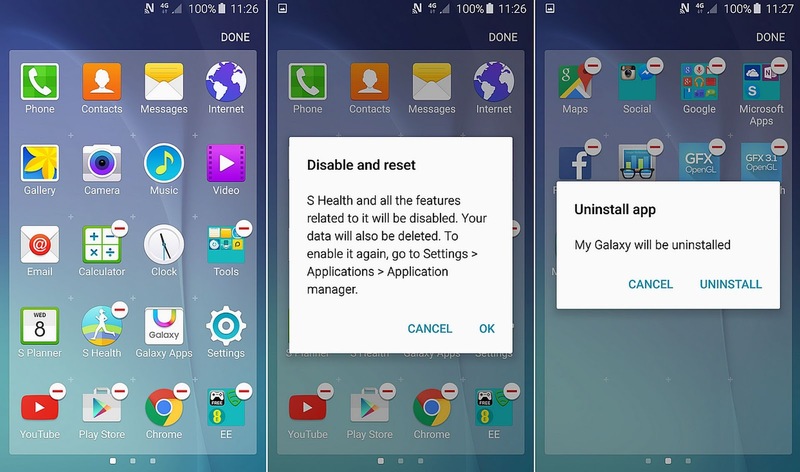 To disable Wi-Fi Galaxy S7 tap the ON/OFF switch again. 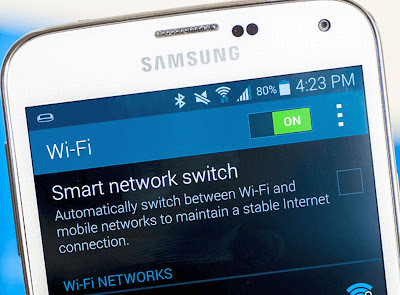 4.Tap a Wi-Fi network to connect, enter the password (if it’s not an open network), and then tap Connect. Your phone is connected to the Wi-Fi network. You will see in the status bar. The password, for a household wireless LAN router, is sometimes found on a sticker on the router (WEP, WPA, KEY, etc.). Contact the router manufacturer for information. For password for a public wireless LAN, check with user's service provider. Entering a password is not required if an access point is not security protected. 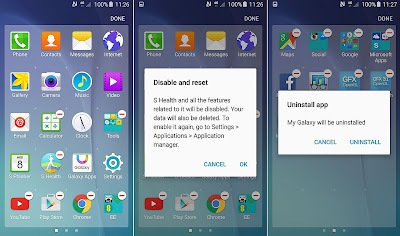 The next time your Galaxy S7 connects to a previously accessed secured wireless network, you will not be prompted to enter the password again, unless you reset Galaxy S7 to its factory default settings or you instruct the phone to forget the network. 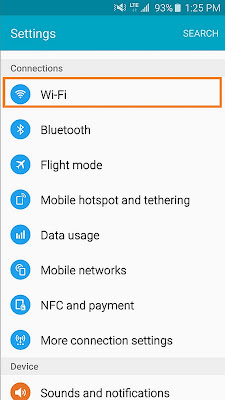 Use the Wi-Fi settings menu to Galaxy S7 Manual Connecting WiFi set your Galaxy S7 Wi-Fi connection options. 2. Tap Wi-Fi . The Wi-Fi settings menu appears. 3. Tap the ON/OFF switch to turn Wi-Fi on. Wi-Fi is enabled. You will see the names and security settings of in-range Wi-Fi networks. To disable Wi-Fi, tap the ON/OFF switch again. 4. Tap More > Advanced. The advanced Wi-Fi settings menu appears. Your Wi-Fi settings changes are saved. You may want to remove a connected Wi-Fi network. 1. From home, tap Apps > Settings . 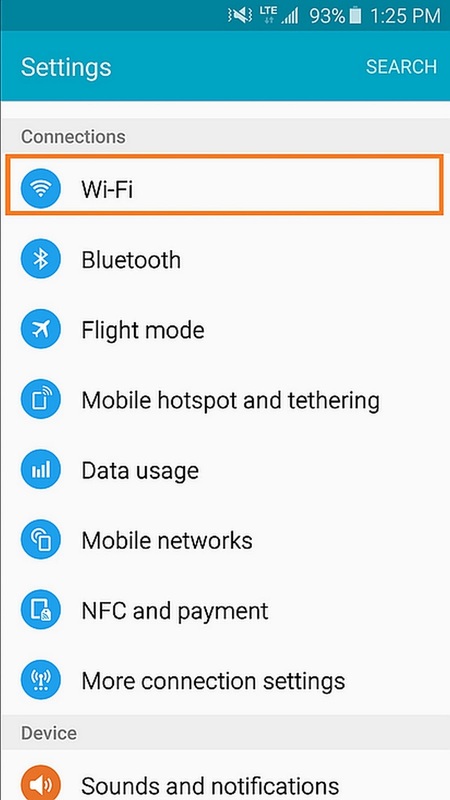 The Galaxy S7 Wi-Fi settings menu appears. 3. Press and hold the name of the connected access point, and then tap Forget network. Wi-Fi is disconnected and the network settings are removed.